The guys recently plastered our utility, downstairs toilet and a tricky lighting box in our kitchen. They did a fantastic job! Their work is flawless, they are very clean and tidy (you won't end up with plaster everywhere) and it was all very reasonably priced. We will definitely be using them again, and would definitely recommend them. Thanks! Once again Simon and his team did a excellent job, punctual professional outstanding service.I'd never use any other company. Thanks again for a brilliant job! 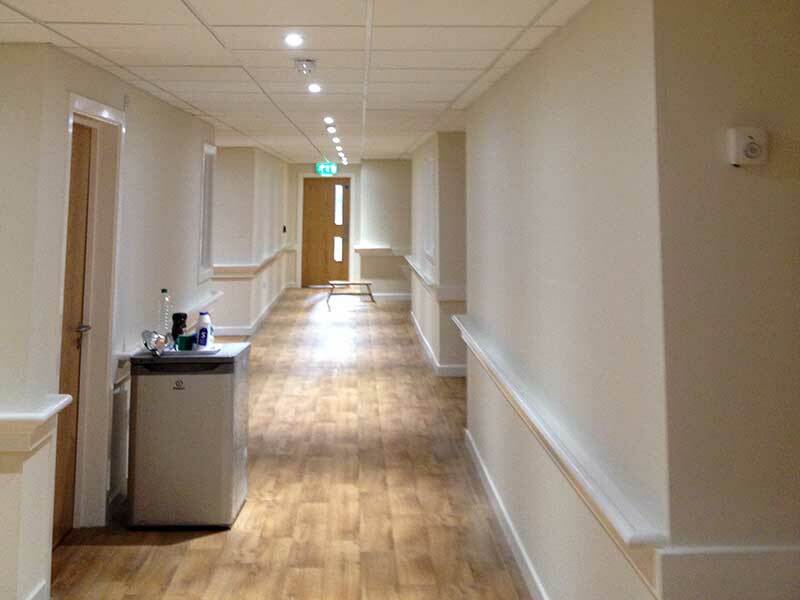 We are able to finish all of our work, from partitions and ceilings, to floating rafts and ceiling features, with an approved plaster skim finish to allow seamless decorating. 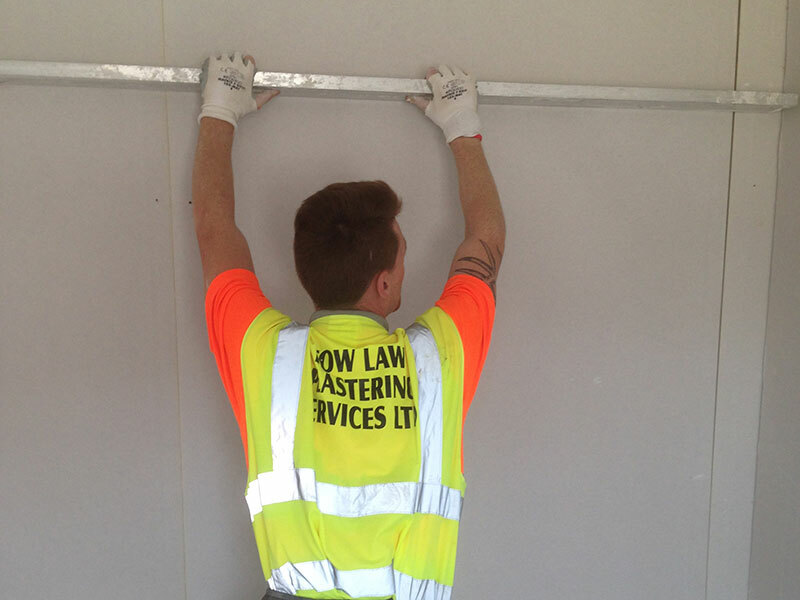 We ensure a quality job with all of our plastering work, regardless of size or customer. Our professionalism, friendliness, reliability and clean working practices result in most of our work coming by way of recommendation, which is nice. Our service area covers the whole of the North East. We cover all aspects of plastering, Interior and Exterior and guarantee all of our work, always achieving the very best plastering results. We have a clean working policy, our plastering knowledge and skills are second to none and we have numerous, positive customer testimonials. 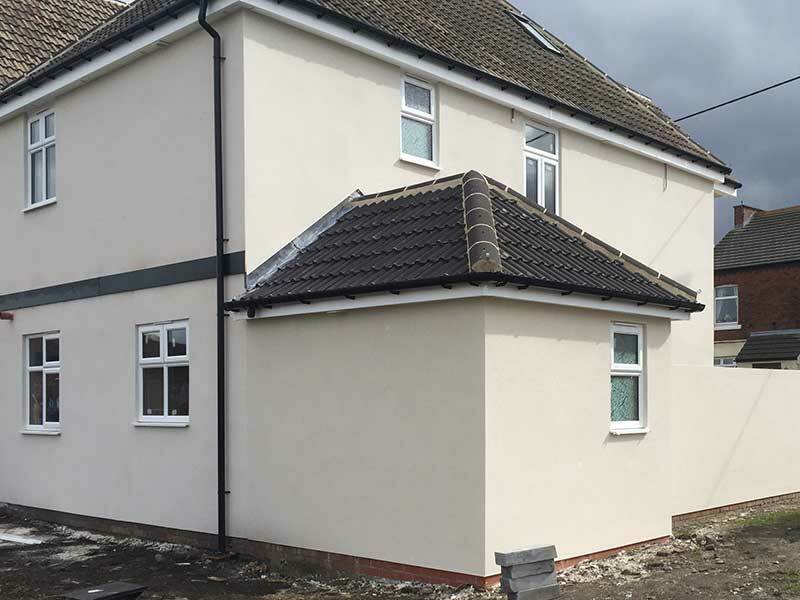 We specialise in through colour ‘Monocouche’ anti-crack rendering and External Wall Insulation (EWI) systems. 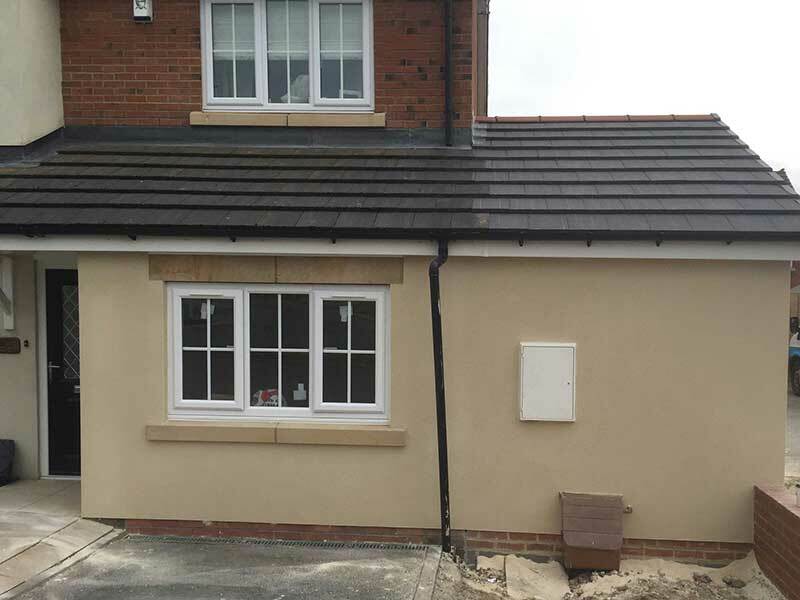 Using top quality products from Weber, K Rend and Parex; we guarantee a flawless finish. Our one coat rendering offers both a decorative and architectural finish, and is applied to the exterior or interior of building facade structures to help provide both decoration and weather protection. 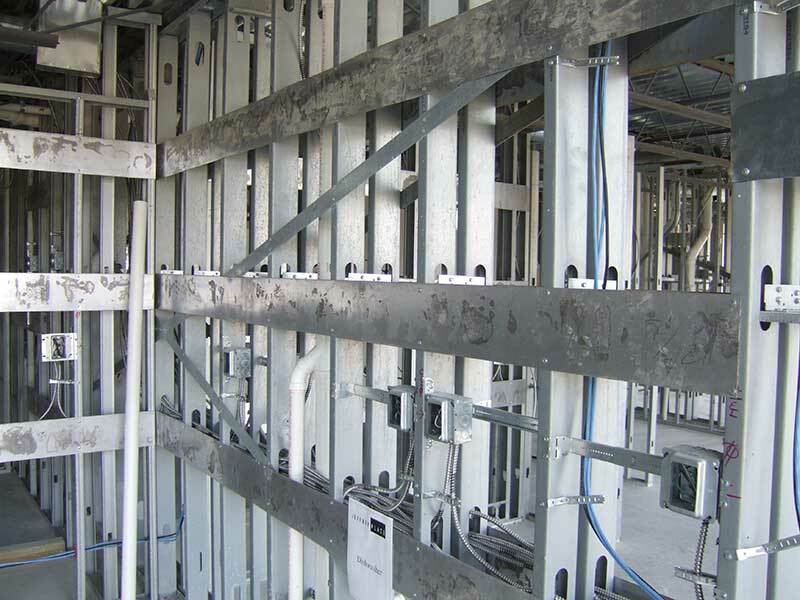 Dry lining (sometimes referred to as drywalling) is a system for cladding the internal faces of buildings, such as walls and ceilings. Plasterboard is attached to the internal faces, creating a smooth surface that finishes such as paint can be applied to directly, a ‘wet’ plaster finish is not required. 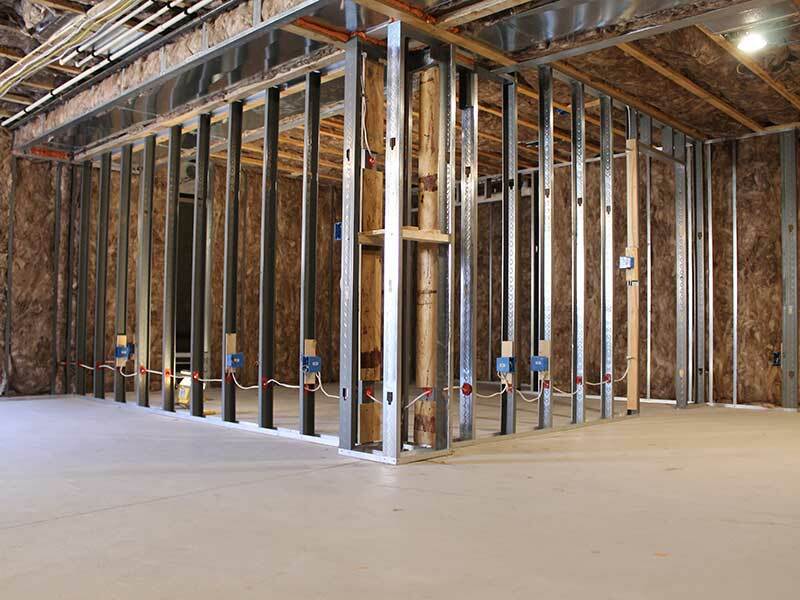 Dry lining is generally faster and easier to install than wet plaster, and generally results in an overall construction that weighs less. This can make dry-lined walls easier to change, making buildings more flexible. 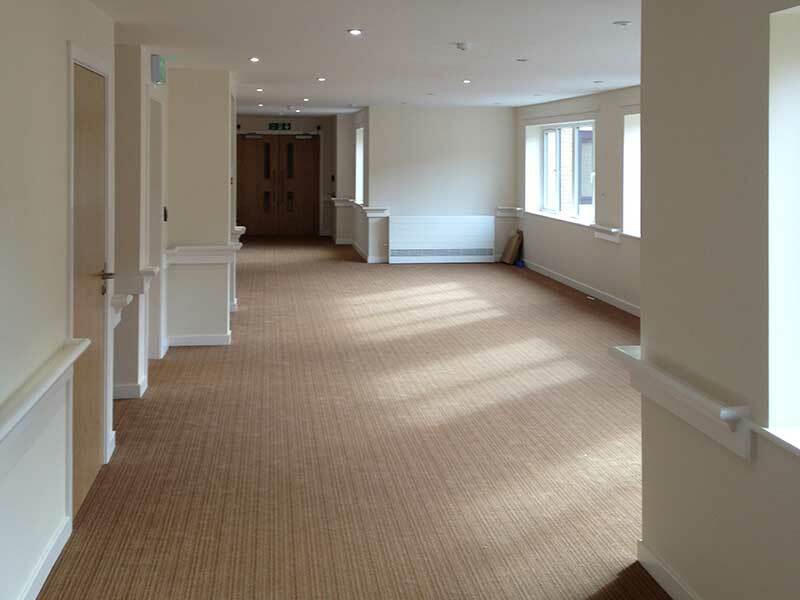 We have years of experience in Dry Lining and can offer a very competetive rate and guarantee a neat, quality finish. Strong and Reliable, like us. 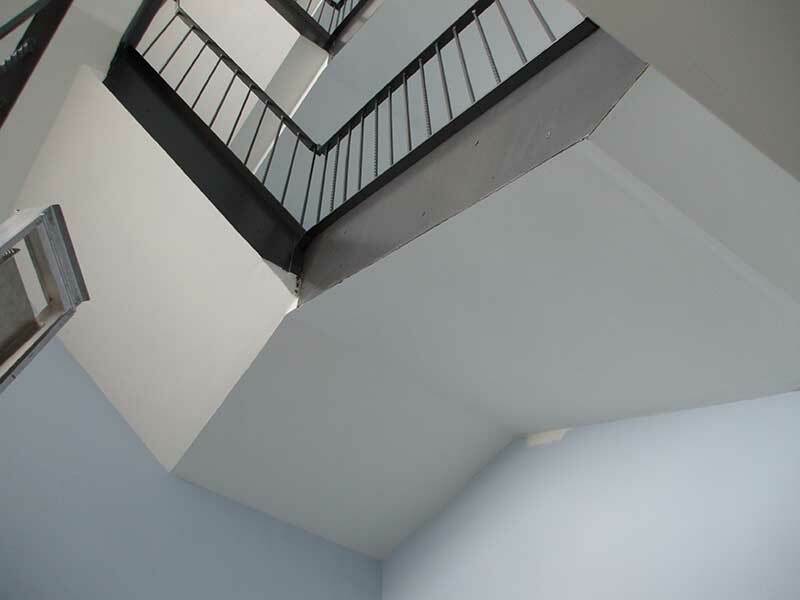 Using metal products manufactured by British Gypsum, Knauf and Speedline, we have created a wide range of partitions from basic residential through more testing commercial needs including sound attenuation and fire compartments. 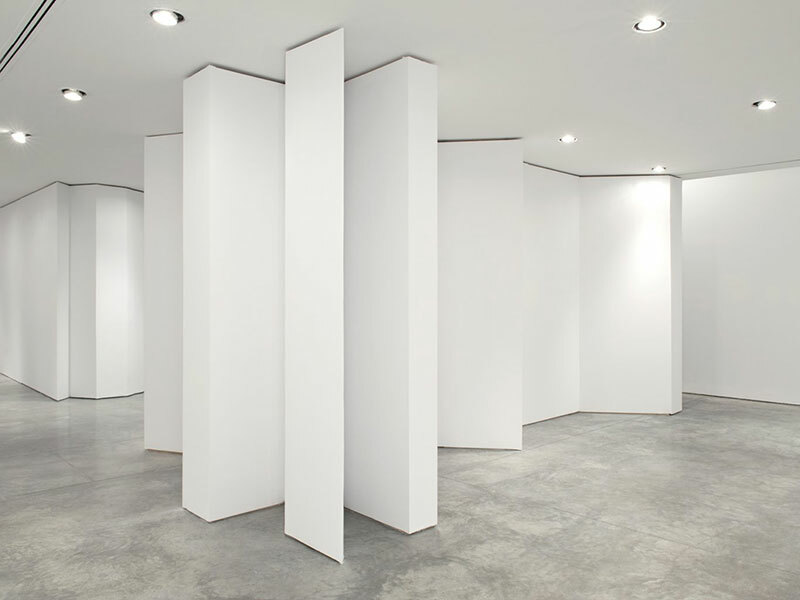 Regardless of your requirements we offer an interior partition system or drywall system that will be suitable. 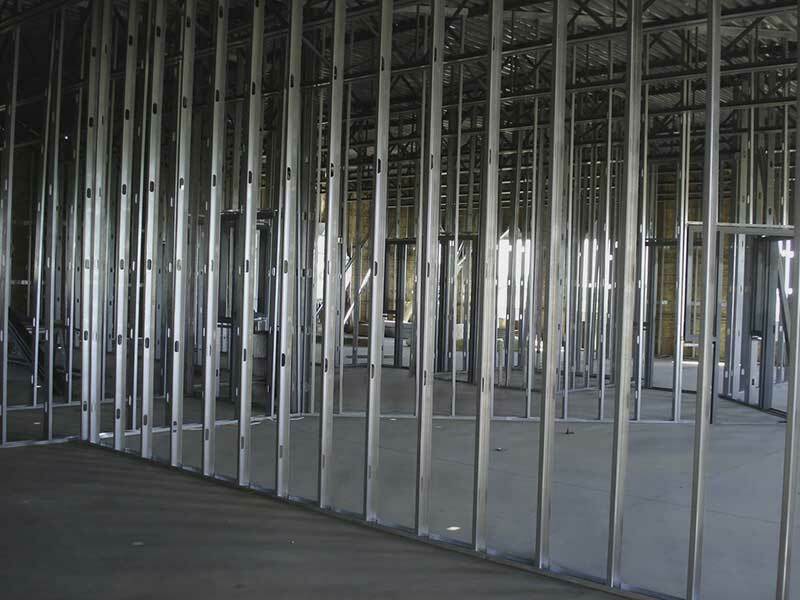 This includes fire rated partitions, acoustic partitioning, office partitions, security walls, dry lining, doors, demountable partitions, glazed partitions with manifestations or just simply for privacy. We're really good at Ceilings too! 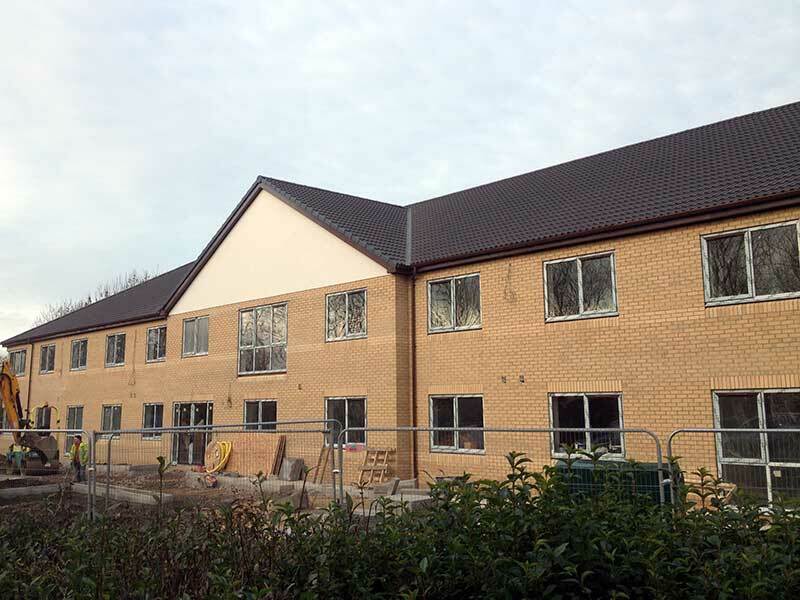 We have a wide range of experience in both lay in grid tiles and solid plasterboard MF. These have been used extensively throughout the vast majority our contracted works. 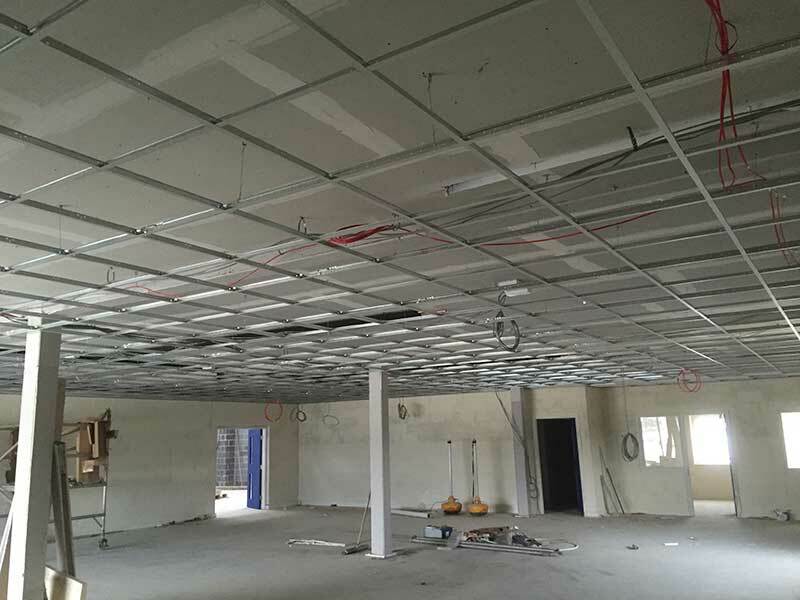 We supply and install the full range of suspended ceilings available in today’s market and offer expert advice on whichever suspended ceilings best meet your requirements. 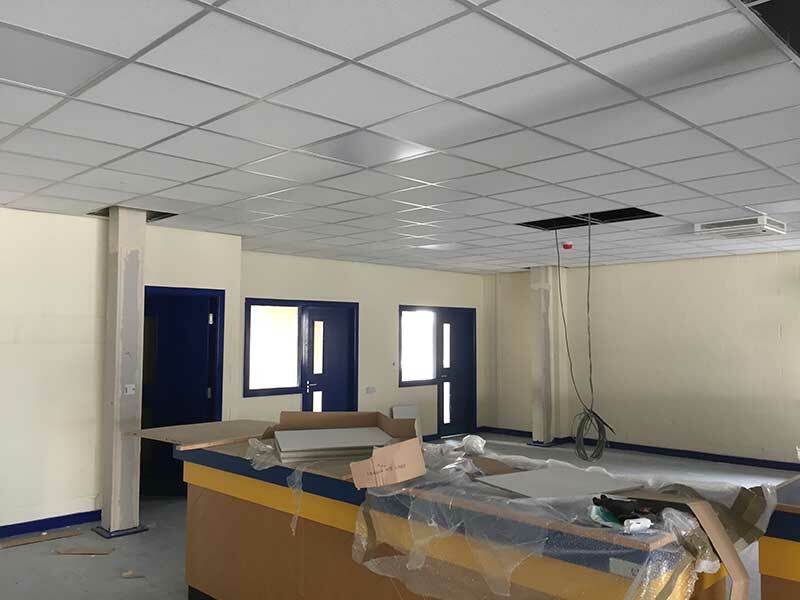 Aside from good aesthetics, suspended ceilings also provide practical elements such as improved acoustic, thermal and hygienic anti-bacterial properties. Not to mention fire rated ceilings, moisture resistant ceilings and a solution for concealing services such as cables, pipe-work and ducting. 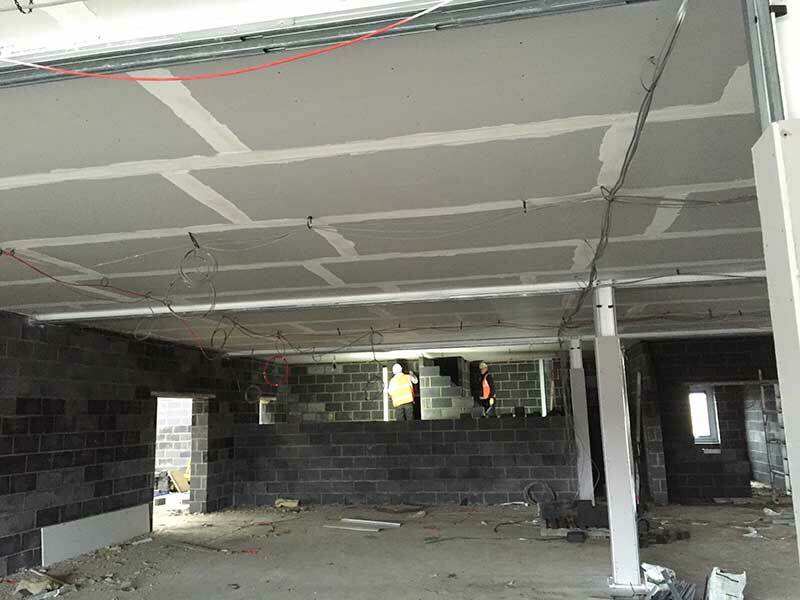 Suspended ceilings also offer other benefits such as improved light reflectance and impact resistance. 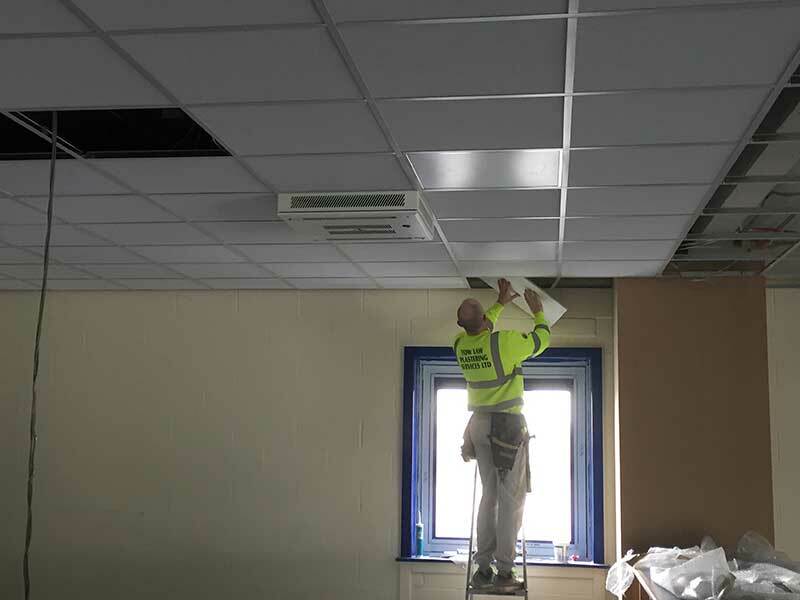 All interiors can be improved with the installation of a new suspended ceiling.